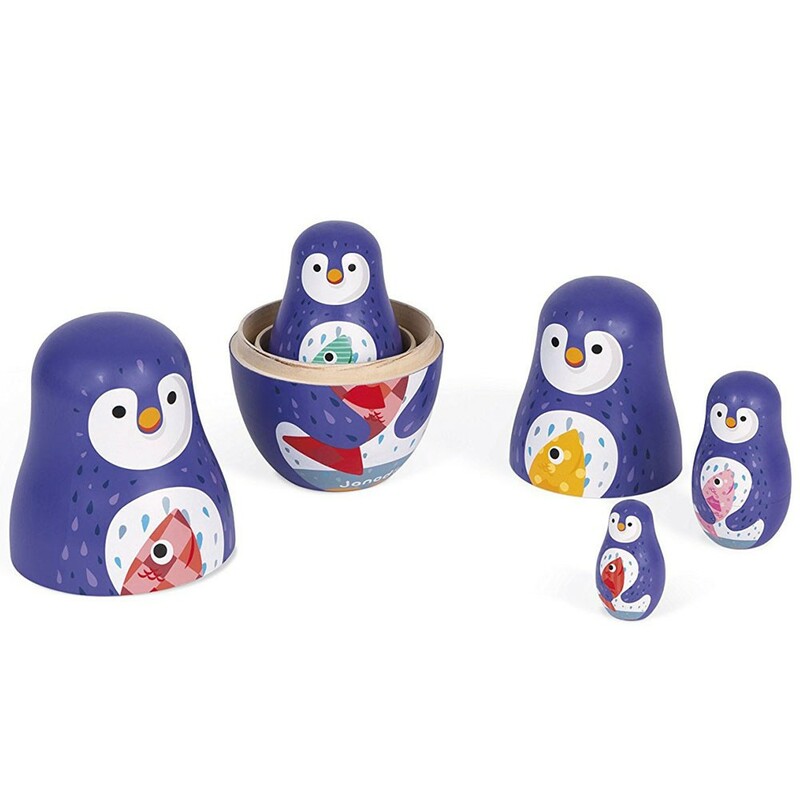 Preschool kids will love playing with this adorable Janod penguin family of Russian nesting dolls while refining their small motor skills! This family of 5 penguins love nesting! 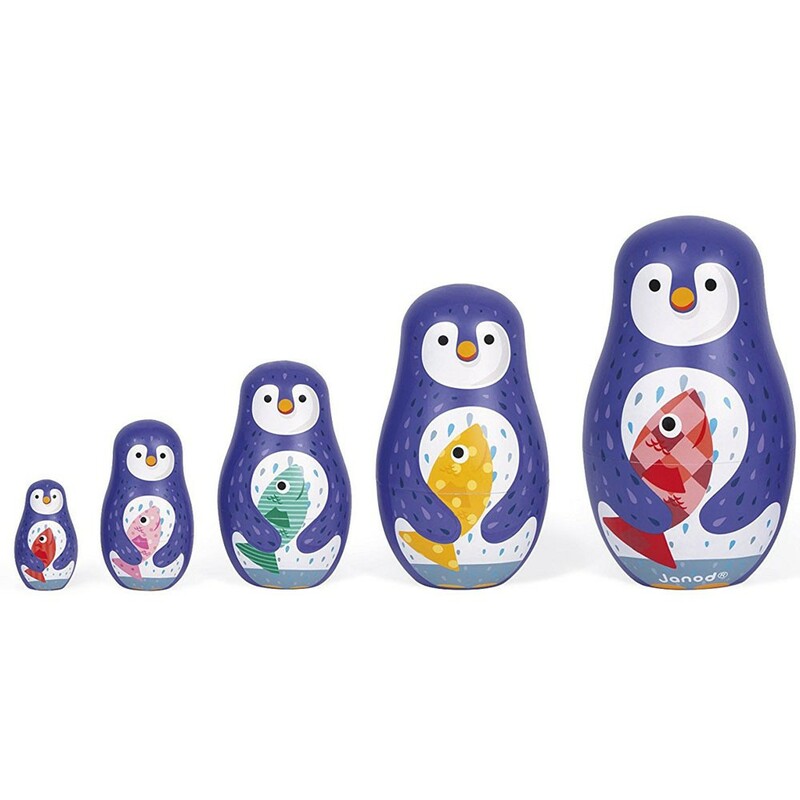 And you little one will love nesting, too, fitting these cute pinguine dolls into each other. 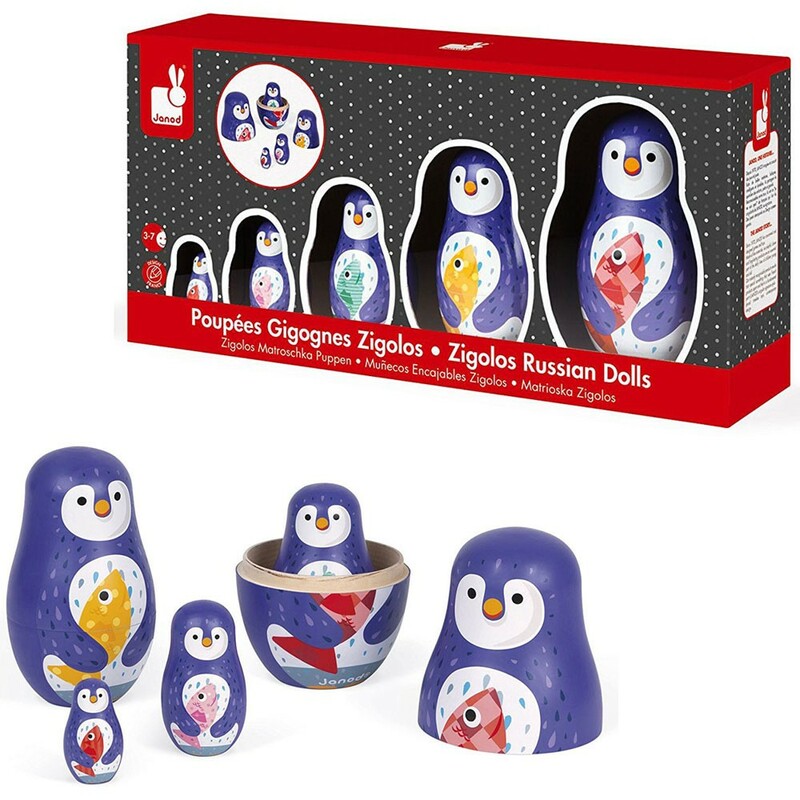 Zigolos Russian Dolls 5 Wooden Nesting Penguins Set by Janod comes with 9 pieces to sort and nest. 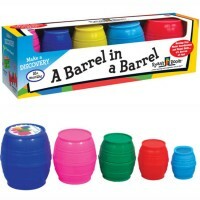 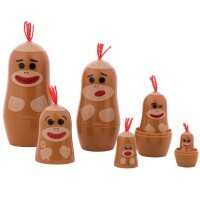 Beautifully crafted and kids-safe painted this set of nesting dolls is a terrific manipulative toy for preschool kids. 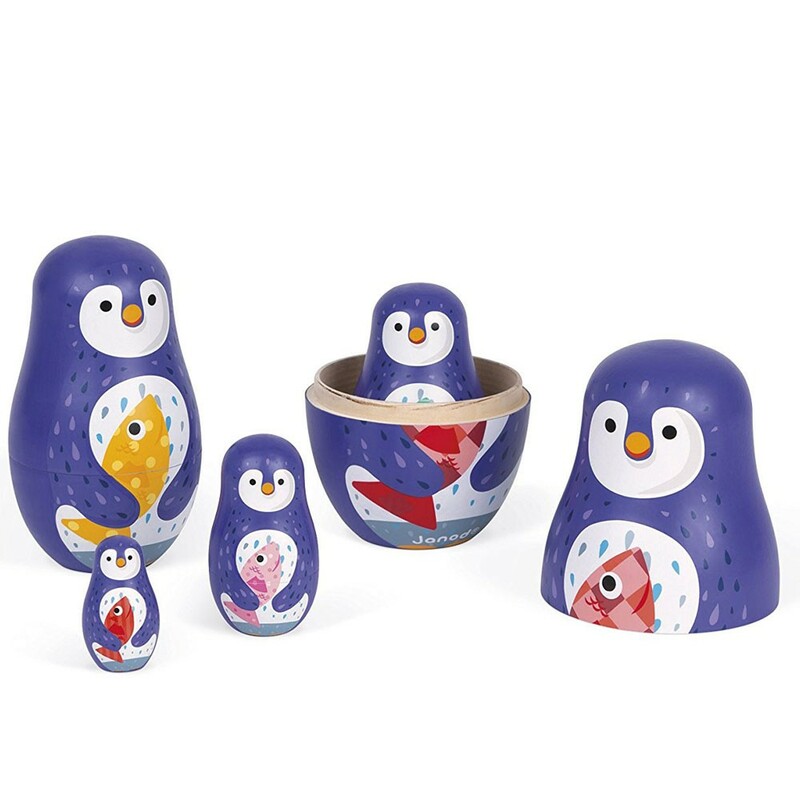 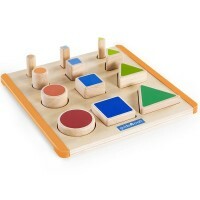 Each wooden doll from this nesting playset is unique in size, and holds a fish of different color. 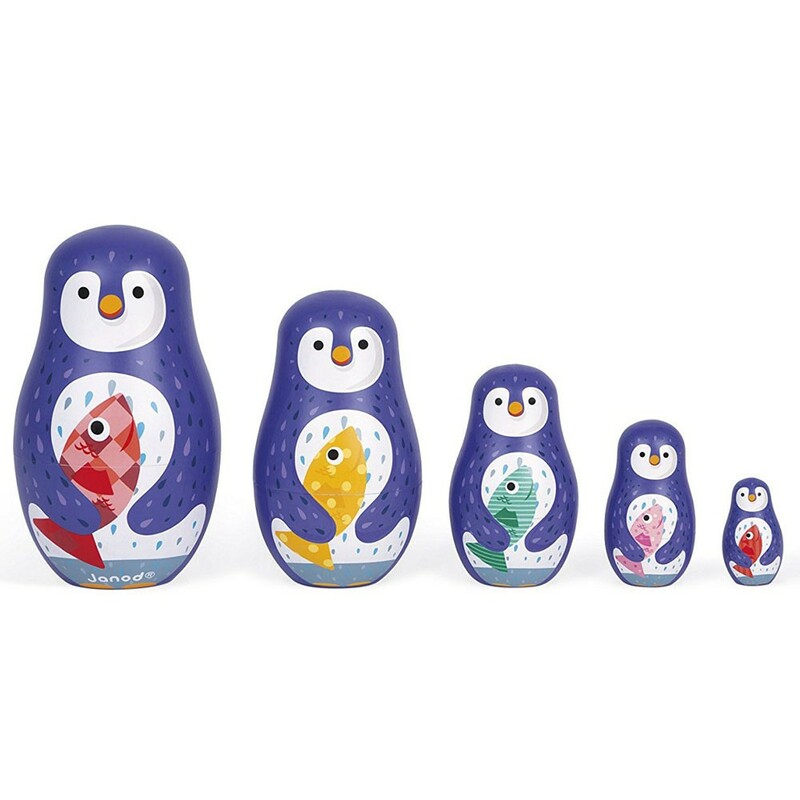 Identify the biggest and smallest nesting doll, line them by their size, match tops to bottoms, count, nest and play imaginative games with the Russian dolls set from Educational Toys Planet. 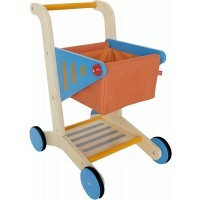 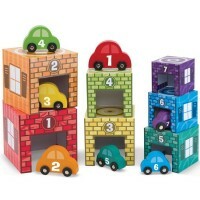 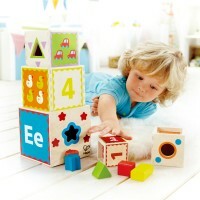 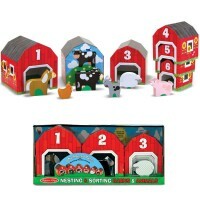 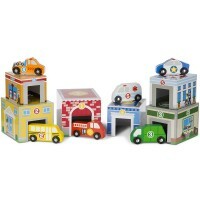 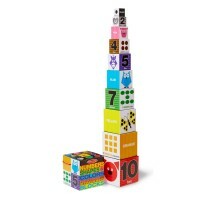 This nesting toy for the youngest kids can also become your child's favorite room decor item. 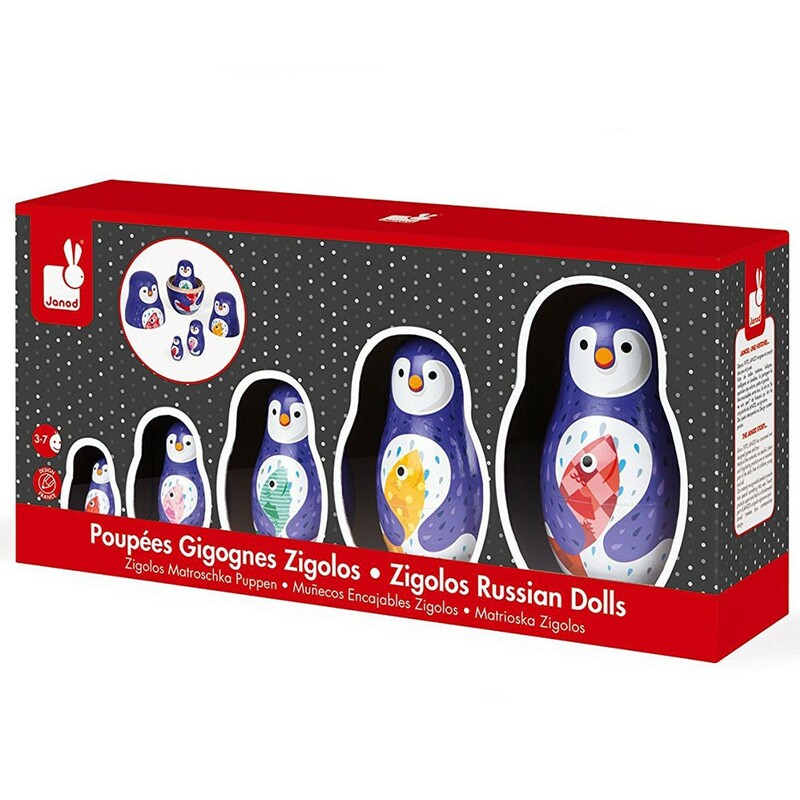 Dimensions of package 3.94" x 3.94" x 6.3"
Write your own review of Zigolos Russian Dolls 5 Wooden Nesting Penguins Set.